UK family business Bowman Stores established over 50 years ago as a producer of flowers and tomatoes, expanding into field crops before moving to specialise in onion production in the 70s. However, when the end of the 90s saw this industry become less profitable, owner Peter Bowman transitioned into refrigerated storage solutions. This involved refurbishing existing buildings, a crucial part of which was transforming the lighting. Storing fresh produce requires a very high quality of light, and so to stay ahead of the game Bowman Stores needed to find an effective and professional solution which would future-proof its cold store lighting for years to come. To shift from wide scale onion production to refrigerated storage solutions, Bowman Stores had to refurbish its existing buildings to an extremely high standard. 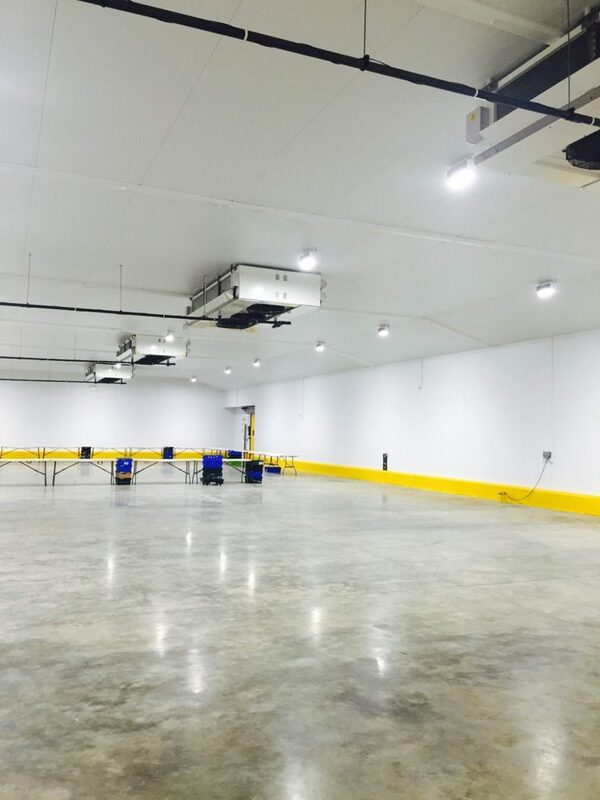 Improving the lighting was an important part of this renovation; reliable, powerful, and low maintenance cold room LED lighting, which didn’t impact on the refrigeration system, was essential to the success of the new business. Quality of light is a critical in storage areas dealing with fresh produce. 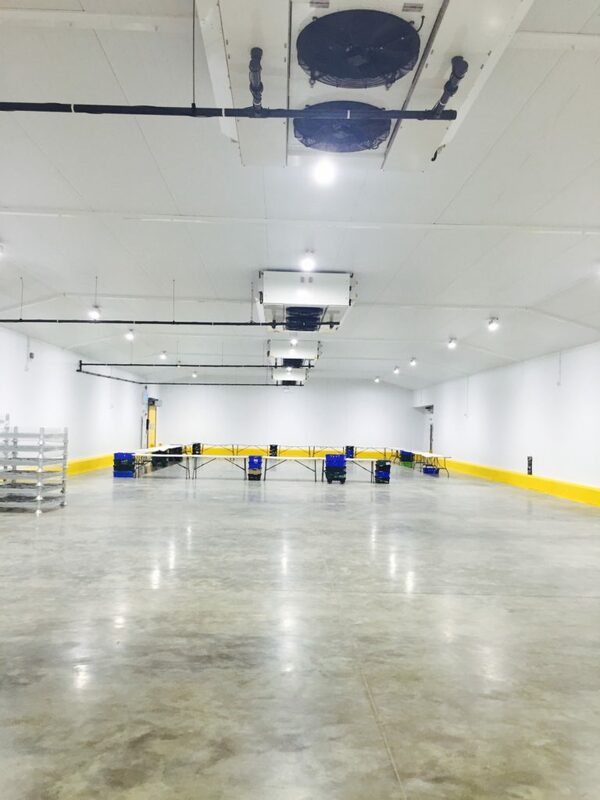 However, the cold store lighting that had been previously installed was extremely inefficient and expensive to run. The Metal Halide fittings were costing £1,200 a year to maintain due to their short lifespan. This led to reduced light levels and even production stoppages when light servicing and replacement was taking place. 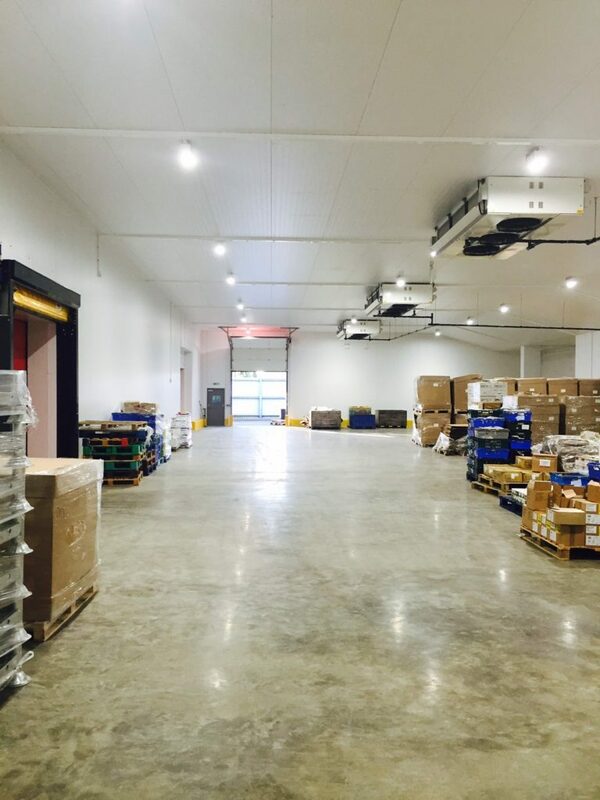 Pulsar needed to provide a warehouse lighting solution that was low maintenance yet reliable, allowing Peter and his team to maximise their use of the space and improve business efficiency. 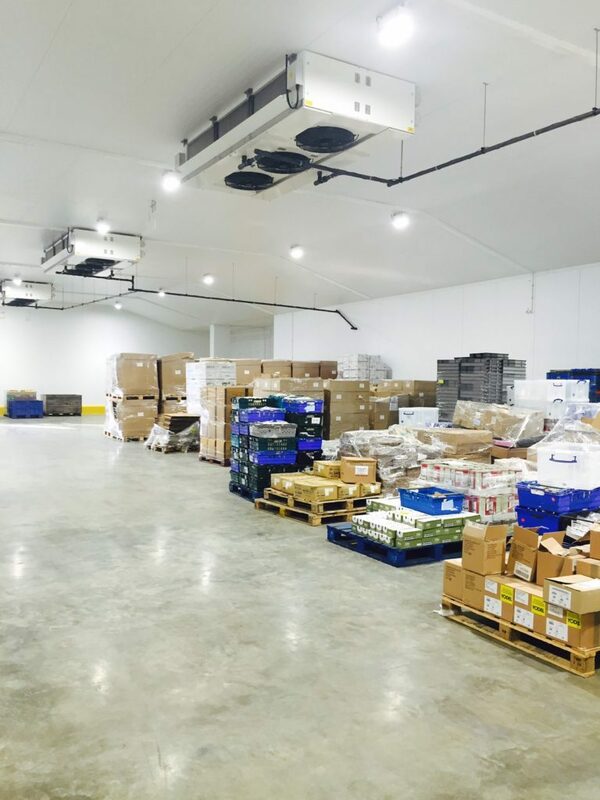 After visiting the site and preparing extensive calculations, we created a freezer lighting scheme that dramatically reduced the running cost of the cold storage lighting, whilst significantly improving the existing light levels. The final industrial LED lighting scheme consisted of 104 UniBay130W fittings with 80 CRI at 5000K, including G90 glare control optics. Our UniBay130 has multiple fixing options and so we worked with Peter and the team to establish which would suit them best. They chose our low profile bracket (F003), enabling us to fit the UniBay fittings close to the ceiling. This allowed more space for fork lift trucks and created a more even distribution of light in the warehouse. Pulsar’s maintenance-free LED lighting upgrade eradicated all of Bowman’s lighting issues and associated costs. In fact, our commercial LED lights reduced energy consumption by 70% and delivered a staggering saving of £29,757 per year. In addition to paying less in electric bills, the light level readings rose from 200 to over 500 Lux, meaning better-quality light in the cold stores and a more even distribution. This upgrade contributed to Bowman Stores’ reputation as a superb working environment. This was not the first time that Pulsar created an improved working space as a result of its innovative lighting solutions, and it certainly won’t be the last; standout projects include Schmidt Logistics’ commercial warehouse lighting and Al Aujan’s LED low bay lighting, both in the Kingdom of Bahrain. When asked why they chose Pulsar, Bowman Stores said that they had been contacted by many LED lighting system suppliers, but that we offered superior products and a greater range. They also preferred our approach, which respected their time scale and listened closely to their requirements. “We couldn’t have been happier with the final outcome, which exceeded our expectations,” said Bowman. Since the revamp of its cold storage lights, Bowman Stores has developed even further, introducing new services and expanding its operation site. We are proud to have to have helped the company with this growth, and hope to work together again in the future as they continue to expand.